Now I Will Teach You How To Hard Reset Lenovo A269i Whenever Your Smart Phones Ended Up Displaying “Too Many Pattern Attempts” Displayed On Its Screen. 1. Turn Off You Smart Phone. 2. 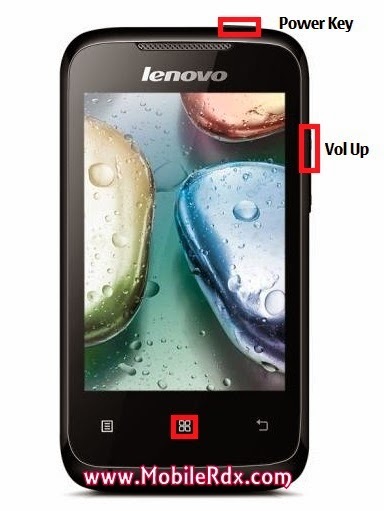 Press Volume Up And Power On At The Same Time Until You See Android Logo. 3. Now Go To Recovery By Pressing Volume Down. 4. Tap The Center Pad. 5. If Android System Recovery Appears Go To Wipe Data Recovery By Pressing Volume Down. Then Use Volume Up To Select Or Do The Process. 6. Select Delete All User Data As Shown On The Third Picture. Again Press Volume Up To Do The Process.